ACI Land & Aquatic Management | Tree Falling Down? While that’s all fine and dandy in the forest, it’s not quite the same when the tree is anywhere near your property. If a tree on your property is showing warning signs of falling down, it’s your responsibility to take note and take action. Falling trees can cause serious damage to your house, vehicle or family member. If you’re worried about the possibility of your tree falling down, keep an eye out for these signs. If you notice them, you might need a professional’s help. Each year, falling branches and trees cause serious injury, death and huge amounts of loss in damages. If you do have a risky tree in your garden, it’s possible for strong winds from a tornado, hurricane or thunderstorm could cause the tree to topple onto your roof. Keep in mind that tearing a tree down isn’t always the best option. While trees can undoubtedly cause severe damage, they also add a huge amount of value to your home. 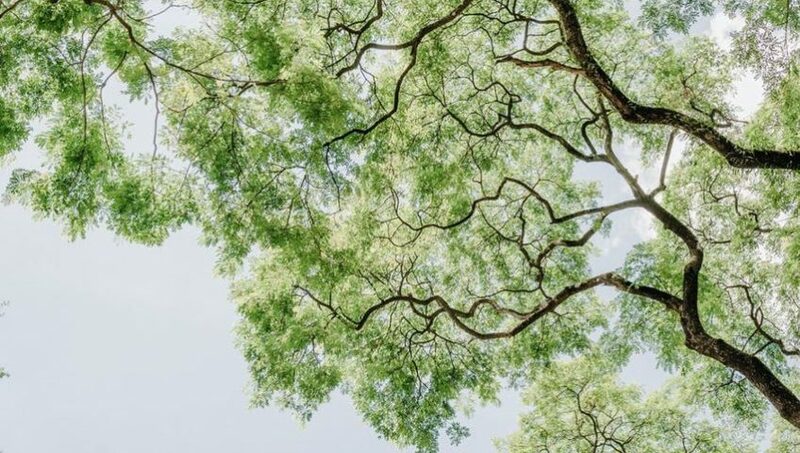 Just one big tree can add thousands to the value of your property and can save you hundreds of dollars on air conditioning. In addition, a tree adds beauty and value to your garden and your quality of life in general. Because of this, it’s essential to seek expertise and guidance from trained tree professionals. Luckily, there are usually warning signs that something isn’t right with a tree. And the good news is that if you’re aware of them, you’ll easily avoid a tree falling disaster. Keep reading to find out more about these warning signs. Decay inside a tree is caused by a tree pruning itself and dropping a branch. A cavity often forms inside the trunk. A cavity doesn’t always mean danger though. If there’s enough healthy wood around the cavity, the tree will most likely stay upright. It’s important to keep an eye on any deep cracks and spots of missing bark on your trees. Areas, where the bark is missing, is sometimes referred to as a ‘canker’. Cankers can cause a tree to be vulnerable to breaking at that spot. Sometimes the actual wood still looks fine but it can still pose a serious risk. Along with this, keep track of deep cracks in the bark, as these can be a bad sign too. If tree branches are dying and falling off, it’s often a sign that the tree is shedding in order to have fewer branches to maintain. It does this to become smaller when it’s experiencing root rot. Root rot renders a tree unable to nourish all of its leaves and branches. If you’re wondering how to tell if a pine tree will fall, look out for the following. Discolored needles, excessive needle drop reveal that something is off in your pine tree’s environment, causing sickness. If you’re worried about your Oak tree falling or losing branches, you should take serious precaution. Oak tree branches are extremely heavy and can cause serious damage and injury, especially in a strong wind. Remember to cut them in advance, before bad weather causes them to fall. While a tree that’s always been tilted doesn’t pose a risk of falling, one that’s leaning due to wind or root damage does. Experts agree that a tree that’s leaning more than 15 degrees usually needs to be removed. When a tree loses leaves from the outside in, it often points toward a problem within the root zone. The root zone is very important for the tree’s health since this is where the tree gets water and nutrients. These are essential for keeping the tree up. An unhealthy root system makes the tree much more likely to fall. There are a few warning signs that indicate a tree is suffering from root rot. It’s pretty tricky to spot root rot because the roots are under the soil. Instead, keep a close eye out for any of the following issues. Mushrooms growing around the tree’s base and fungi growing on the trunk are both clues that the tree is rotting on the inside. Remember that when the tree’s roots become rotten, the tree may be on its way out. A tree with rotten roots is unstable and may fall at any moment, especially in a strong wind. After reading this article it’s clearly important to know how to tell if a tree is about to fall. Remember to inspect your trees often. In order to prevent serious damage or injury, it’s essential to be proactive. If your tree is falling down or if there’s a risk of falling branches falling off a tree, you need to take action. A good tip is to have your trees checked more frequently during extreme weather periods. Along with this, have your trees looked at after serious weather events, such as long periods of excessive rainfall or drought. If you’re looking for tree experts you can trust, you’ve come to the right place. Contact us if you think your tree needs to be inspected. We offer a team of trained Arborists who will provide guidance about your tree’s safety. The team will remove any weak, cracked or dead branches. If you do this every few years, your trees will be healthier, safer and more beautiful.